Eco-friendly bedding made from organic materials is not only good for you, but for the environment, too! 1. 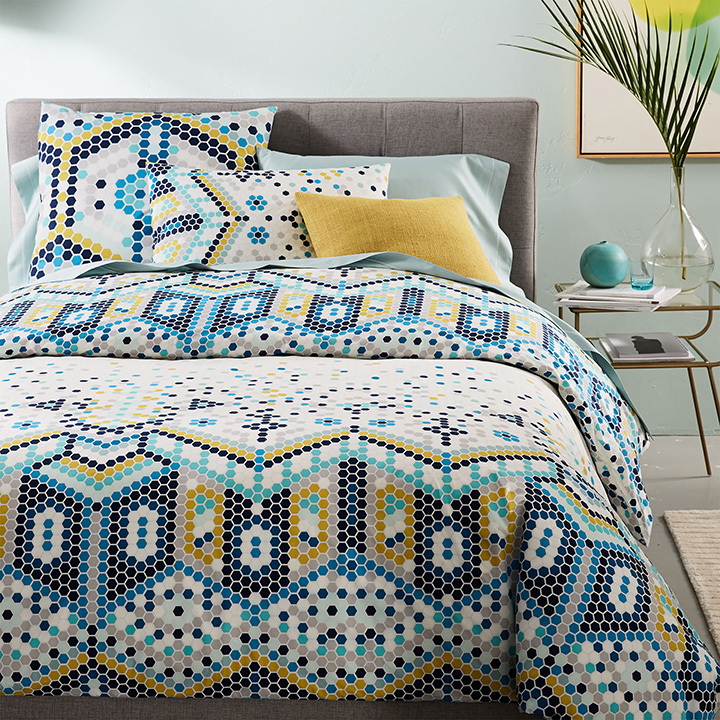 Organic mosaic tile duvet and shams, available at West Elm. 2. 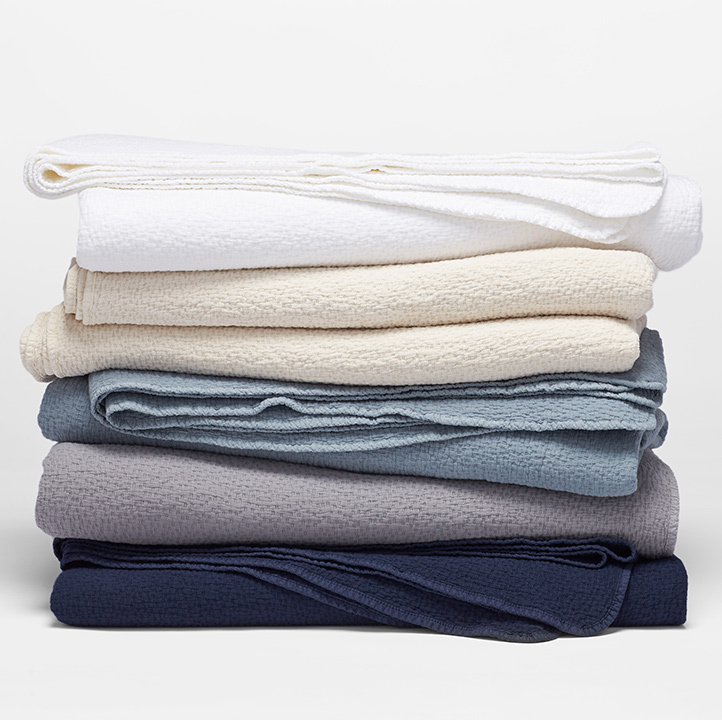 Organic diamond stripe sheet set, available at West Elm. 3. Adele coverlet and deluxe shams in mineral, by Bella Notte, available at Amelia’s. 4. 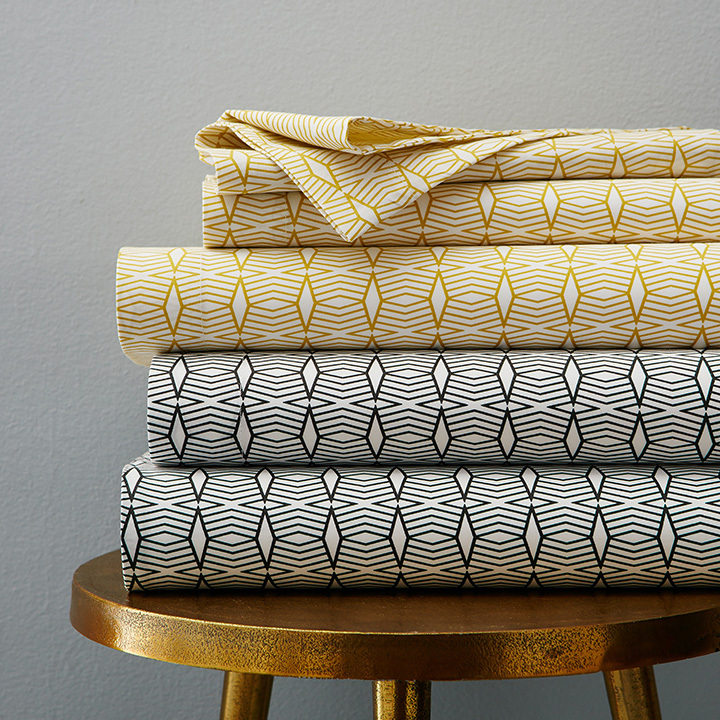 Cascade blanket, by Coyuchi. 5. 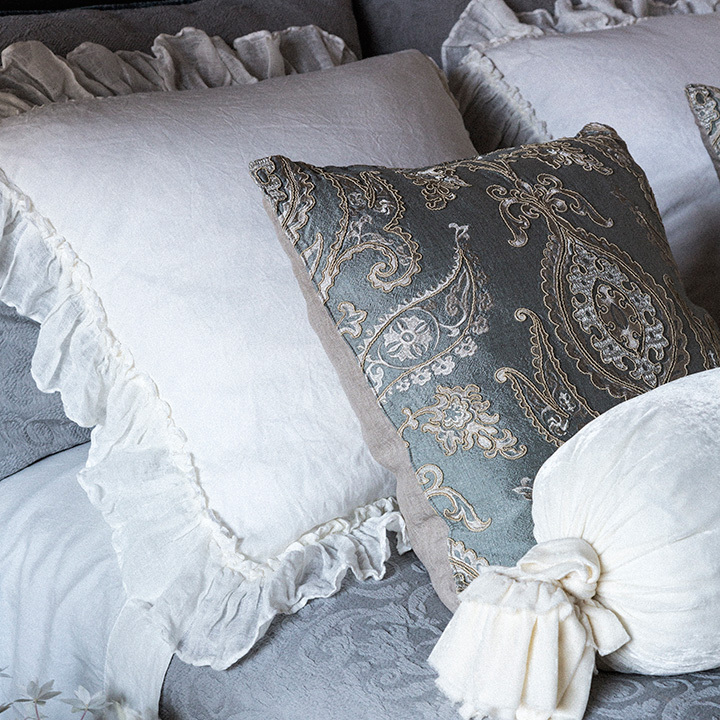 Doria, by the Purists, by SDH Fine European Linens, available at Amelia’s. addition to comfortable? 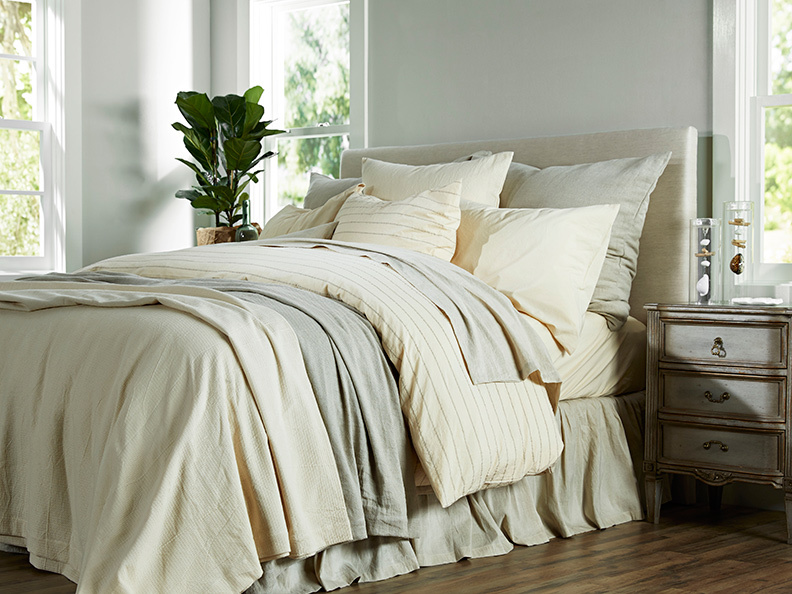 Eco-friendly bedding made from organic materials is not only good for you, but for the environment, too!